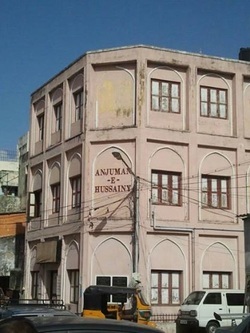 The Anjuman has been in the forefront in promoting academic and religious education for the past fifty years and nearly 400 plus school students enjoy scholarships from LKG to Plus 2. 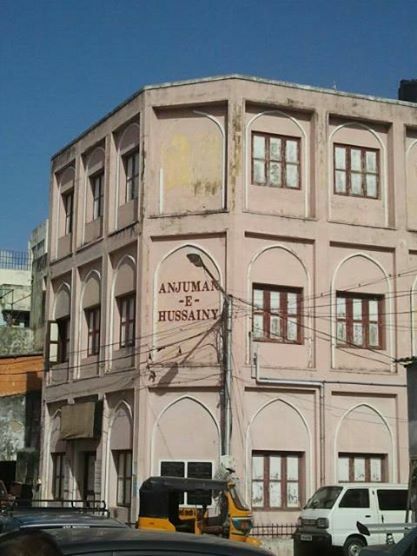 Religious education is also imparted on a regular basis to the residents of the locality by the Madarasa-e-Hussainy and a large number of children benefit from the same. The Anjuman also recognizes and rewards the brilliant students at its annual Merit Awards function for their outstanding performances every year. Guest speakers from various walks of life, who have created name and fame for themselves, are presented to the youth as role models for them to emulate. Sports meets and cricket tournaments are held every year for the youth not only to make them maintain good health and physique but also to develop the sporting spirit in them and face competition from the outside world. Meelad-un-Nabi and other religious programmes are held regularly and the community members look forward to the same every year with great enthusiasm. The Anjuman’s calendar is popular not only in India but the world over. From humble beginnings it has a healthy circulation and is in great demand. Advertisements slots are subscribed to very much in advance and the calendar is accepted for its accuracy and design. The health project of the Anjuman is a very popular activity and is functioning in the name and style of Amjad Parpia Memorial Clinic & Diagnostiks. This center houses consulting rooms and prominent doctors from various faculties attend to the patients on a daily basis. It also has a well equipped state of the art laboratory with computerized gadgets and trained efficient staff. This facility is available to all sections of society, irrespective of caste, creed or religion. The above mentioned activities are a few prominent and popular programmes of the Anjuman which are maintained and sustained with the help of well wishers and philanthropists. Your goodself could be one of them and should you desire any more information, please feel free to contact us. You can forward your donations and contributions by cheque or demand draft favouring Anjuman-e-Hussainy, payable at Chennai. Dedicated to the religious, educational, social, cultural, health and economic upliftment of the Islamic community in particular and society in general.